It’s that time of year again, and maybe you’re already a few weeks into it, but it’s time for New Year’s resolutions to be set. Many resolutions revolve around fitness, health, a promotion at work, or spending more time with the family, but one resolution that too many people ignore is the resolution to get more organized. The main purpose of this post is to focus on getting organized when it comes to business, but this also applies to your personal life as well. Let’s face it–when things get chaotic and crazy, we tend to get a little unorganized. We misplace things, procrastinate, and fail to make to-do lists because this all seems too time-consuming, and there are more important things to be done, right? Wrong. Everything must start with organization. It can increase your productivity and efficiency ten-fold. This includes clearing your computer of documents you don’t need, organizing your computer folders and software, getting any hard copies of documents filed away in organized files in a filing cabinet that can be easily sorted through (stick to alphabetical or chronological order so you can remember your system and others can use it! ), and keeping your desk area clean and organized so that you know where everything is. If you’re having an assistant get things organized for you, make sure you understand their system and that they do it in a logical way to be able to find things later! Productivity will increase exponentially. – You know how when you’re rushing out the door when you’re running late in the morning, and you can’t find your keys because you didn’t put them in the designated key location, and this causes you to be five minutes later than you were in the first place? Office organization is like that. When you can’t find the papers that you need, the documents in your computer, or even something as small as the right colored pen, you spend time looking for them. The time that you spend trying to find whatever it is you’re looking for (sometimes five minutes, sometimes closer to an hour) is time that you could be spending being productive and doing actual work. This could cause you to have trouble meeting deadlines (think of the old excuses some people (i.e. not me) gave their professors in class that they couldn’t find the necessary documents for their homework, so they weren’t able to get it in on time). 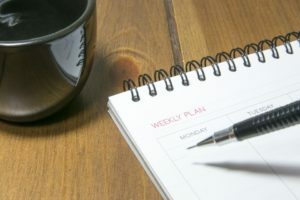 Not having things in the right place can result in lost client documents, being late to meetings and appointments, and generally being significantly less productive than you could be. Taxes (and other important report filing) – For taxes and other important reports, finding the correct documents is a necessity. When things are unorganized, not only do you not have receipts, documents, or necessary information, but the process becomes much more frustrating. We all know how stressful tax time is, so why not try to alleviate the stress at least a little bit by having everything you need filed away properly where you know it is and can access it easily? Imagine how much easier this will make your life–and how much more time can be spent on your business (and personal life)! Save Money – When you’re unorganized and can’t find something that you need in that exact moment, you may see the need to buy another one. Even if it’s hidden in the depths of one of your desk drawers, if you don’t have it when you need it and buy a duplicate, you’re wasting money. Chances are, you’ll find whatever it is later, and now you have two. When you know where everything is when you need it, you won’t have to worry about double-spending money. This may not happen to you often, but it could end up saving you a decent amount of money. Customer Service – Have you ever ordered something from a company that promises something will be shipped in 5 days and then loses your order or ends up shipping it out weeks later? You do not want to be that company. Usually it’s because too many hands were in one pot, paperwork got lost, or the product itself is missing. None of these are ideal situations, and none of these leave the customer wanting to come back to you for more. These are typically organization issues and can be fixed easily by keeping things organized by date and all in the same place. This could literally save you from losing business and help you gain reviews for positive customer service experiences and getting products to the customer quickly and without a hassle! This also applies to making sure you’re making all of your appointments. You want to be organized even in your calendar so that you know exactly when your appointments are and are showing up to them. Nothing is more frustrating than working with someone who is constantly missing appointments because they didn’t have them marked on their calendar. Stress Relief – Work is stressful enough without never knowing where anything is or being set behind throughout the day because of a lack of organization. When you are constantly spending time trying to find lost items or documents, re-entering information into your computer, or missing appointments and possibly losing clients, things become much more stressful (and sometimes even cause a business to fail). Don’t add stress to your stress at work because you don’t have things organized. 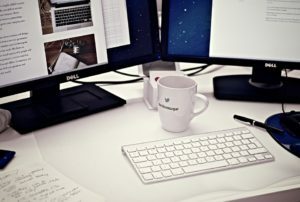 Just a messy desk alone can contribute to anxiety and stress (see Psychology Today’s article on Why Mess Causes Stress for more on this). Clear your mind by clearing your desk! There are so many reasons to get organized, but it can be difficult to actually do it. Take it one step at a time, have an assistant help you, utilize Google Calendar or iPhone Calendars on your phone, and take the time to get everything together. Trust me, it’ll save you time (and sanity) in the long-run. For more information on how Pro-Assist, LLC can help you get organized, and therefore be more productive, contact me!